Vinyl signage is ideal for sharing vital business information with your customers and guests. 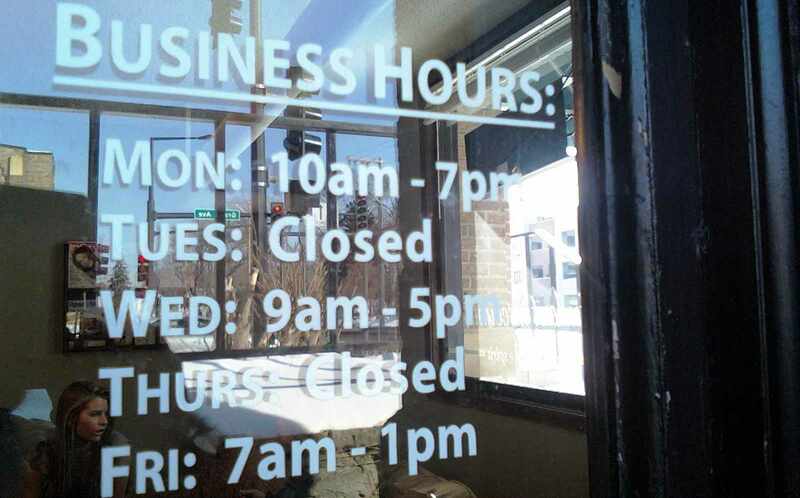 Hours of operation, business license numbers, accessibility features, wifi availability, or any permanent or long-term business information should be prominently and professionally displayed, making vinyl graphics an ideal solution. These attractive, permanent elements look professional and clean without obstructing visibility into your business. 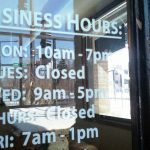 Window Vinyl Graphics are used to excite & entice visitors through promotion or to provide privacy for your clients and staff. The intended use will determine the vinyl product that is best for you. 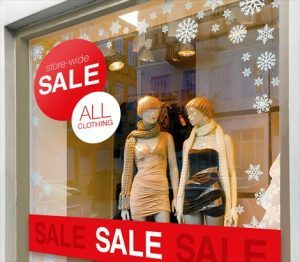 Window graphics for promotional purposes would include either a full graphic window display, providing both excitement and privacy, or cut vinyl graphic elements, such as lettering, sales banners, or graphics like falling leaves, snowflakes, flowers, or trees. These attractive, durable elements are easy to install, remove, and update. This flexibility makes them a fantastic choice for seasonal window displays. 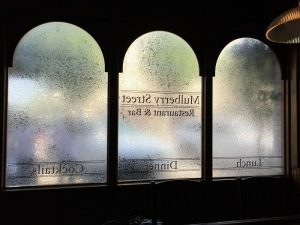 Looking for window graphics will the feel of etched glass? 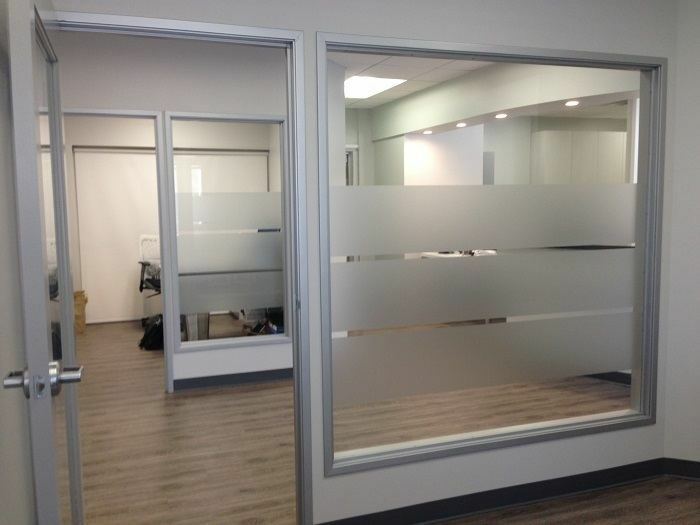 We offer a wide-range of privacy film that creates a frosted or etched glass look. 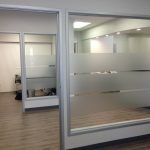 Ideal for law firms, doctor and dentist offices, therapists, or real estate offices, our attractive privacy film gives you the benefit of privacy without blocking out your natural sunlight. We can add graphic elements such as your logo to promote your brand in a high-end, but affordable, way. Vinyl graphics can be applied to just about any flat surface, including floors! 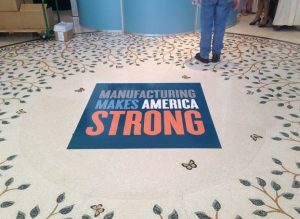 Vinyl floor graphics have a variety of uses, such as providing directional assistance, or an attractive lobby floor display. Custom Signs and Wraps provides durable floor vinyl graphics that will adhere to concrete, carpet, tile, and most other flooring surfaces, including outdoor use on sidewalks, roads, or driveways. We can help determine which product will work best for your particular needs during a Free Consultation with a vinyl graphics expert. Have a boring hallway or wall you want to turn into a large format work of art? Vinyl wall murals are a great option for utilizing otherwise wasted wall space and turning it into a branded visual display. We can create a custom graphic for your use, or can print a graphic you have designed onto the right vinyl film for your intended use. 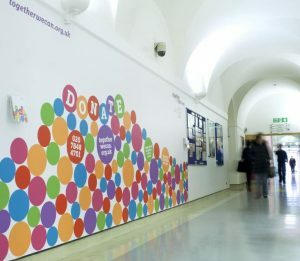 Say goodbye to boring lobbies and hallways, dress them up with high-impact, high-visibility vinyl graphics! Custom Signs and Wraps is a full-service sign company, which means that we take care of everything from start to finish. 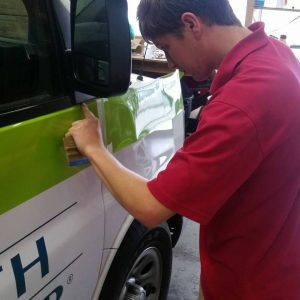 From your initial free consultation through installation, maintenance, and repair, we make sure your vinyl graphics look great and stay that way long-term. We provide professional installation for all of our vinyl sign and graphic products, however, some simple designs can be installed yourself. If you are installing your own graphics, we will provide you with complete installation instructions and tools for successful application. Vinyl can be challenging to install based on your desired location, so consulting with an expert, like those at Custom Signs and Wraps is always best. Custom Signs and Wraps is your trusted Franklin Park vinyl signs and graphics partner! We are ready to create the custom vinyl signs and graphics you need to educate and excite your customers and guests. Custom Signs and Wraps is your local provider for all of your business signage needs. We look forward to assisting you with any current and future sign projects. 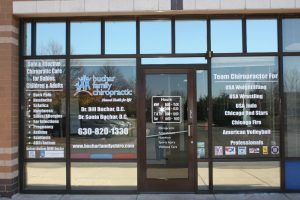 Call Custom Signs and Wraps at 630-448-5558 for your Free Consultation with a Vinyl Graphics Specialist! The new signs look great.